Famed for being a 'Triple Threat' Canadian-born actress Brooke Forbes's career has taken her to great heights. She recently acted as pop icon Lady Gaga in the new Penelope Spheris Film 'Balls to the Wall'. Her acting success continues with being cast as a principal performer in numerous US national commercials including GM Cadillac Cars, Toyota, Labatt's Blue Beer, Hostess Frito-Lay, AT &T, and Weight Watchers. In addition, Brooke is the creator of Forbes Productions US, a production company currently producing a slate of TV Series, Feature Films and Musicals, with celebrity talent. Brooke is also a Stand Up Comedian, performing in the LA circuit as well as a triple-threat, Actor/Singer/Dancer. Brooke currently teaches Spinning and Yoga at Gold's Gym Los Angeles. 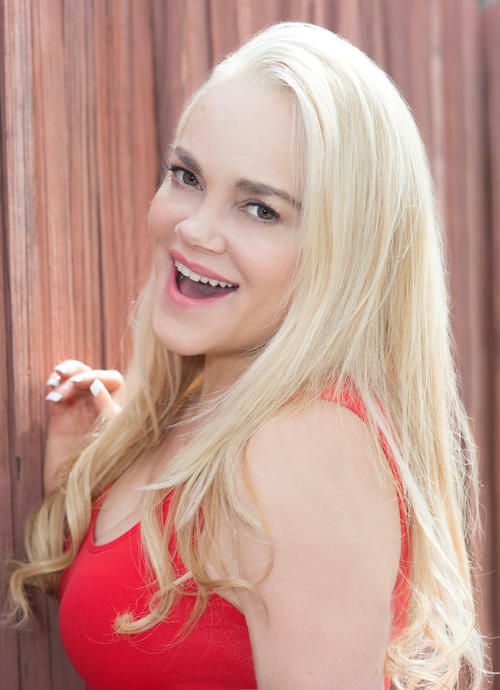 Brooke Forbes, Founder and CEO of Forbes Productions US, highlights Natasha the Mail Order Bride, Madonna, Stand Up and other projects to date.